Eibar have been one of Spain’s most impressive outfits in 2018/19. "A quick look at the La Liga ratio rankings sees Eibar comfortably inside the top-six for shots, on-target efforts, in the box attempts, xG, xG from open play, possession and touches inside the penalty area"
Barcelona overturned a 2-0 first leg deficit to emphatically book their place in the Copa del Rey semi-finals on Wednesday night, flattening Sevilla 6-1 at the Camp Nou. Victory was the Blaugrana's 12th in 15 fixtures since mid-November as Ernesto Valverde's troops have displayed unrivalled consistency in Spain to take charge of the La Liga title race (they're [1.17] on the Betfair Exchange to repeat last year's league win). Eight wins on the spin by an aggregate 23-2 has pushed the table-toppers five points clear of the chasing pack and on home soil, Barca have been almost unstoppable. Under Valverde, the defending champions have claimed W24-D5-L1 at the Camp Nou in league action making the hosts fair [1.3] favourites to succeed here. Valencia opened their account with eight draws from 11 outings, although Marcelinho managed to keep his job and has since overseen an improvement (W5-D3-L2) to push Los Che back into the race for Champions League qualification. However, it should be noted that four of Valencia's recent five triumphs came against the current bottom-four. Meanwhile, the visitors tend to toil when travelling to Spain's leading lights. Valencia have picked up a solitary point from their last six trips to Barcelona or Real Madrid, shipping at least two goals on each occasion. With Barca expected to prove too strong, it may pay to back the home win alongside Under 4.5 Goals at 4/5 - 17 of their 24 triumphs under Valverde at home would have seen this selection provide profit, while only two of Valencia's away days under Marcelinho's tutelage have featured five or more goals. Celta Vigo president Carlos Mourino surprisingly handed under-fire head coach Miguel Cardoso a reprieve this week despite the Portuguese boss overseeing a fifth successive La Liga loss. The dreadful 2-1 defeat at Real Valladolid last weekend dropped the Galicians into the drop zone with Los Celestes collected only twice triumphs in 10 under Cardoso. Nevertheless, Mourino has piled the pressure on the Celta supremo coming into Saturday night's showdown with Sevilla by admitting, "We can't make promises beyond our next game". However, with Sevilla securing only nine victories in 30 on the road since the start of last season - and without a victory an away win since September - all is not yet lost. Pablo Machin's men certainly aren't trustworthy enough to support on their travels and their midweek mauling at the Camp Nou arrived only three days before their trip to Vigo. So with neither team impressing of late, the most sensible solution is to support a goal-heavy game at Balaidos where Over 2.5 Goals is rated a [1.76] chance. Celta's La Liga outings average 3.29 goals with 15/21 (71%) seeing both sides score. The hosts have silenced only four of their opponents in 2018/19, notching themselves in all bar three. Meanwhile, Sevilla's away encounters are averaging 3.09 goals as the guests have seen seven of 11 produce goals for both sides with Los Rojiblancos keeping a sole shutout. Plucky Eibar are nestled nearly in the relative safety of La Liga's mid-table. Los Armeros remain in striking distance of European qualification as head coach Jose Luis Mendilibar continues to work wonders on a shoestring budget with the Basque minnows. 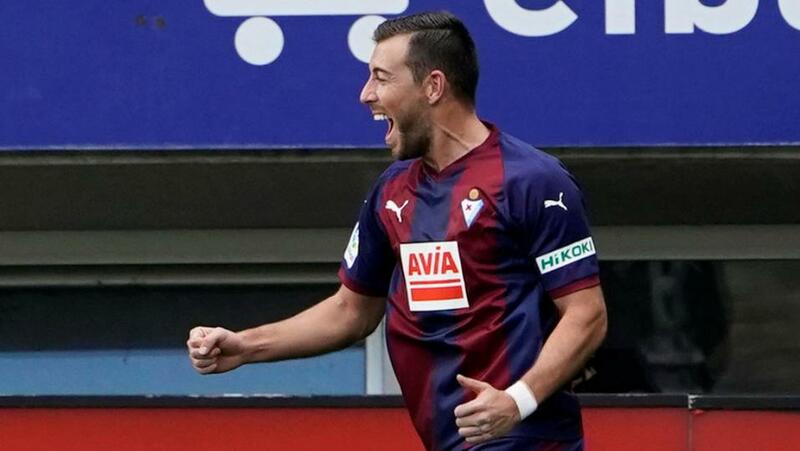 Last weekend Eibar surrendered a two-goal advantage at Leganes and over the course of the campaign, the underdogs have performed well above the standards expected of a side sitting in 10th. Indeed, there's a fair argument to suggest that Los Armeros have been one of Spain's most impressive outfits in 2018/19. According to the performance data ratings, the hosts have scored seven goals fewer than xG has account for, whilst Mendilibar's men have faced the fewest shots from inside the box. In fact, a quick look at the La Liga ratio rankings sees Eibar comfortably inside the top-six for shots, on-target efforts, in the box attempts, xG, xG from open play, possession and touches inside the penalty area. Remarkable. Naturally, I want to keep the Basque boys onside on Sunday evening when Girona head to Ipura. The visitors, by contrast, are sitting inside the bottom three for a range of the same metrics and head north on the back of an eight-game winless run, including three defeats from their most recent four road trips. The Catalans will also be without key suspended centre-half Bernardo Espinosa.